When it comes to planning and designing your building with patrons and customers in mind, don’t forget the interiorscape. Interiorscape design looks at integrating plants and foliage throughout your business and building, including the interiors. Instead of plants being an afterthought, the can be a driving force of the overall design of your commercial space. 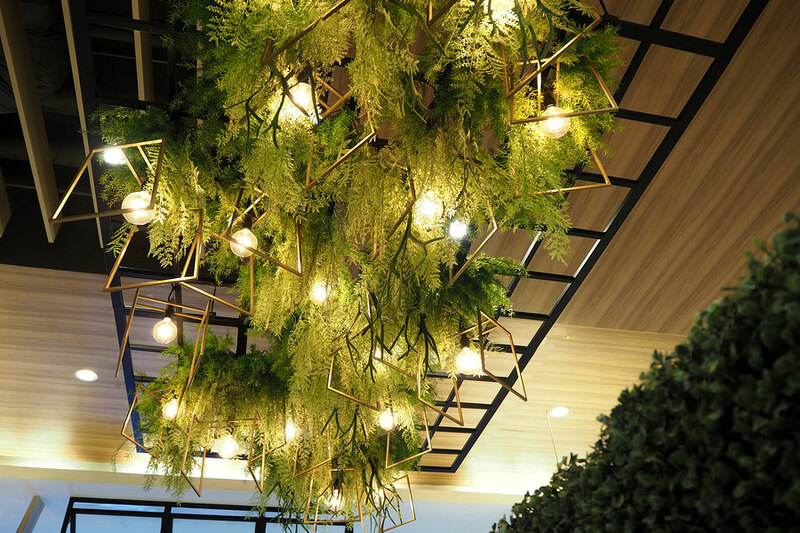 An interiorscape professional has an intriguing set of skills; first, they can find aesthetically-appealing designs that enhance your building, and second, they know a lot about plants! The latter is important as you want to choose plants that are perfect for your hardiness zone and that will thrive in interior conditions, such as lighting. Think about your first impression. Thoughtful and carefully planned interiorscapes can make your building seem more inviting. This is integral in a large, lofty, or industrial space. Successful interiorscape tactics lure people, customers, and prospective tenants inside and leave them with a pleasant feeling about your company. Let your interiorscape guide patrons. Arrange and plan containers and planters to accentuate and complement inherent features of your space. For instance, use plants to highlight fountains, focal points, and products and make them more appealing to your visitors. Also, plants can slow-down consumers and give them pause to take-in your interiorscape. Use showy foliage to highlight a directory or map and guide consumers where you want them to go. Consider the benefits of plants at work. With so many perks of plants, it seems ridiculous that many businesses only choose them as an afterthought. Plants provide oxygen, reduce stress, and enhance the overall look of any space. Healthy, hardy plants in the office have benefits for both your consumer base, as well as your staff and employees, too. Invest in plants and decorative containers. Invest in your own plants and save money over the long run. It is estimated that it takes between one and two years to recoup costs of buying plants and containers rather than renting what you need. Save upfront costs by renting. If you simply don’t have the money to invest right now, renting plants and containers is a practical option. Renting also gives you the flexibility to make changes later and switch things up without losing your initial investment. Expect maintenance every week or two. A reliable landscaping company will maintain your interiorscape with weekly or bi-weekly visits. Schedules and pricing varies, so speak with them about your distinct budget and preferences. Look for an interiorscape professional that also offers services that you may need later, such as seasonal decorating or special event landscaping. Ask prospective landscaping companies about the range of services offered before making your choice. Hire a commercial landscaping and ground services company in Charleston, to bring the right plants, containers, and insight to your commercial space. Talk to the professionals at Carolina Services Grounds Division, a division of Carolina Services Inc.